Time for pie! A collection of pies for Thanksgiving. Each holiday seems to have a specific dessert associated with it. For me, Easter always brings visions of coconut cakes smothered in shredded coconut, Christmas calls out for cookies of all kinds and Thanksgiving is the day that pies are front and center of the dessert table. 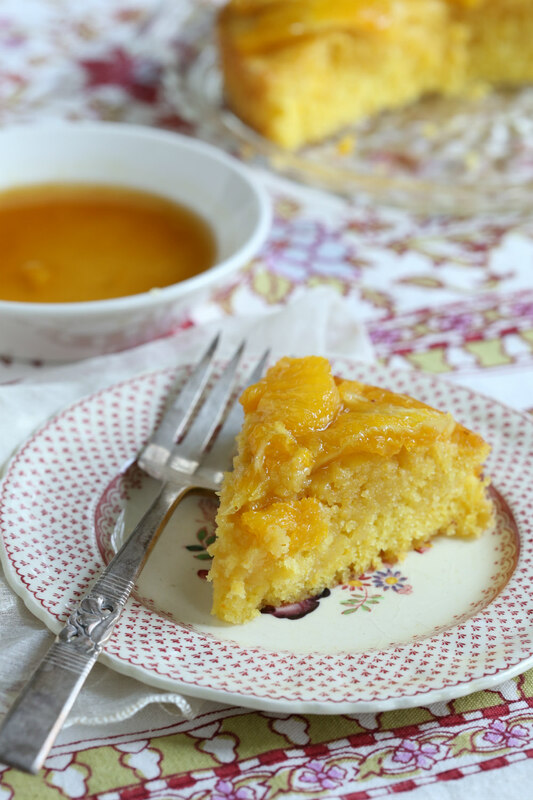 No pie is more synonymous with Thanksgiving than Pumpkin Pie and with the current proliferation of all things pumpkin spice, I have decided not to include it in this small collection of recipes and instead, focus on a few others that are guaranteed crowd pleasers! Right about the time of the onslaught of pumpkin spice laden goods, apples come into season. 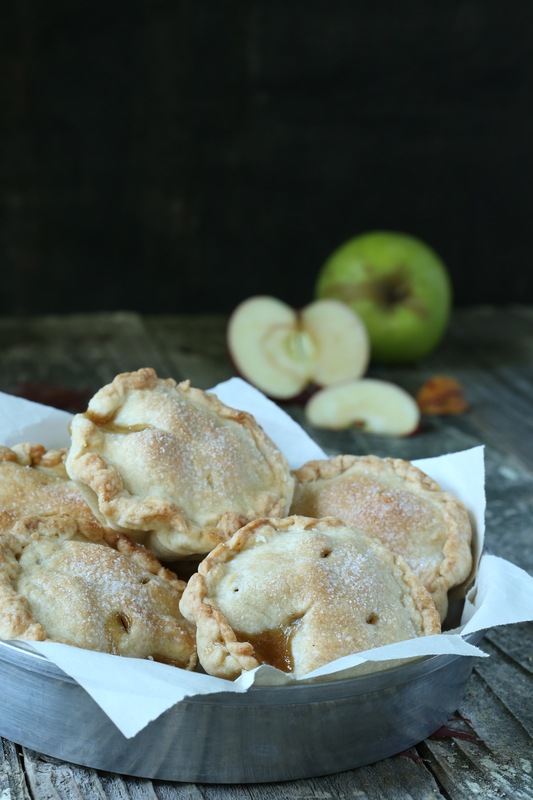 While just about every pumpkin pie is based on a creamy, custard based filling recipe, apple pies are much more flexible. 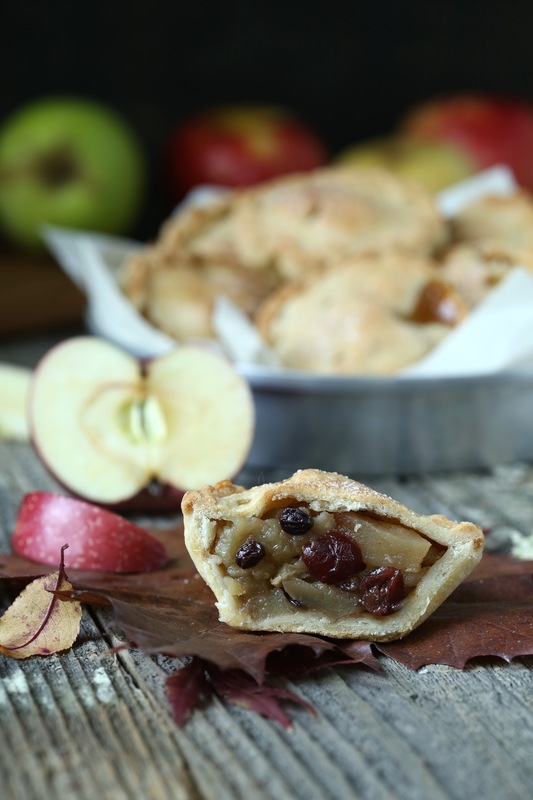 Pumpkin is pumpkin but each variety of apple has its own characteristics and by simply switching out varieties, you can completely change the flavor of the filling. 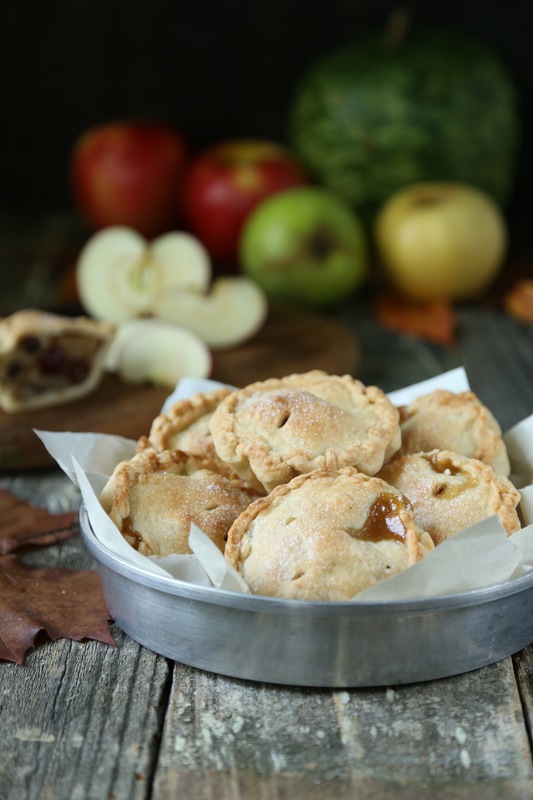 Personally, I prefer to blend apple varieties to create a full flavored pie that has plenty of juice to keep the pie from being dry and enough heft in the slices to prevent them all from falling apart while they bake. The skins of an apple contain pectin, which will make wonderful sauce or jelly, but is tough and chewy once baked, so be sure to peel and slice the apples as you make the filling. Do not worry about the browning that might occur because the sugar and spice will camouflage the color. For this pie, I chose Rome, Cortland and Golden Delicious. Each one had flesh of a slightly different color. The yellow hue of the Golden Delicious apples made the slices resemble rutabegas! The Cortlands were a bit green and the Romes were bright white. The texture and flavor of each was also different and ranged from crispy and tart to soft and sweet with a lovely scent. If you aren’t sure of what varieties are suitable for pie, this comprehensive chart from Pick Your Own will be very helpful. With my kitchen packed up for the move, my options were limited and I decided to skip the top crust and just go with a streusel topping. That dome of apples looks a bit ridiculous but the truth is that the apples used for pies always juice out and collapse a bit in the baking. For this monster, I had two and a half pounds of apple slices in the fillings-something I do not recommend for a 9″ crust! For a pie that size, don’t go over two pounds. One other thing I would like to mention, if you are intimidated by the idea of making your own crust or simply do not have the time or desire, don’t make one-buy one! Usually, I mix up a large batch of dough divide it into the portion, roll out what I need for the pie I am baking and then freeze the leftovers. This way, I always have a stash of dough to pull from the freezer any time I want to bake a pie. Because we are in the process of a long distance move, I have run through my stash and had to purchase a crust for this pie. A spicy crumb topping is a quick way to dress up a pie and to add a little crunch to the texture along with flavor. It is also a lot easier to handle than a top crust which makes it the perfect solution if you are not keen on working with pie dough. The recipe included with this post is one of my favorite crumb toppings and it works just as well on cobblers, crisps, muffins and coffee cakes as it does on this pie so be sure to keep it handy! Preheat the oven to 350. On a sturdy baking sheet that will not warp and buckle in the oven, place a sheet of parchment paper and give it a spritz of grease. Toss the apple slices with the sugar, spices and flour and pour it into the crust. Cover it with the crumb topping, pressing it down lightly to pack it and to prevent it from falling off. Put the pie onto the prepared baking pan and bake the pie until the juices are bubbling and have thickened, about 1 hour to 1 hour and 15 minutes. Allow the pie to cool until room temp so that the juices set and it will be much easier to slice. 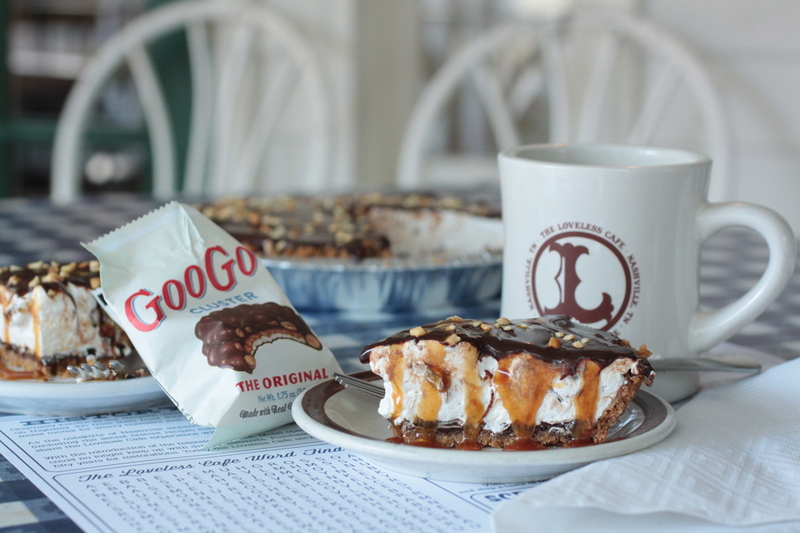 For the adventurous bakers, this gem from my days as the pastry chef of the Loveless Cafe, a Goo Goo Cluster Marshmallow pie is an unbaked pie but it does require making the crust, a ganache and a cooked marshmallow filling. While a little time consuming, it is well worth the effort if you are a marshmallow fan, the recipe is also posted on my food52.com page and can be found here. If you can’t find Goo Goo Clusters, visit the website and stock up or search for a store that sells them near you! The weather has changed; suddenly, it is fall. The days are getting shorter and the temperatures are cooler. It is also apple season, one of my favorite things of fall. Fresh, crispy, crunchy, juicy… apples with skin of every shade from red and green to yellow and pink. Sliced, or whole; I’ll eat them either way. Baked into pies and cakes, cooked into sauce or spicy butter, layered on peanut butter sandwiches or dipped in thick, creamy caramel; I love all of them. 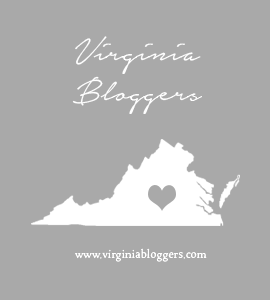 If you haven’t visited my blog before, then you may not be familiar with Tuesdays with Dorie. We are a large group of bakers who are baking our way through two books written by Dorie Greenspan. 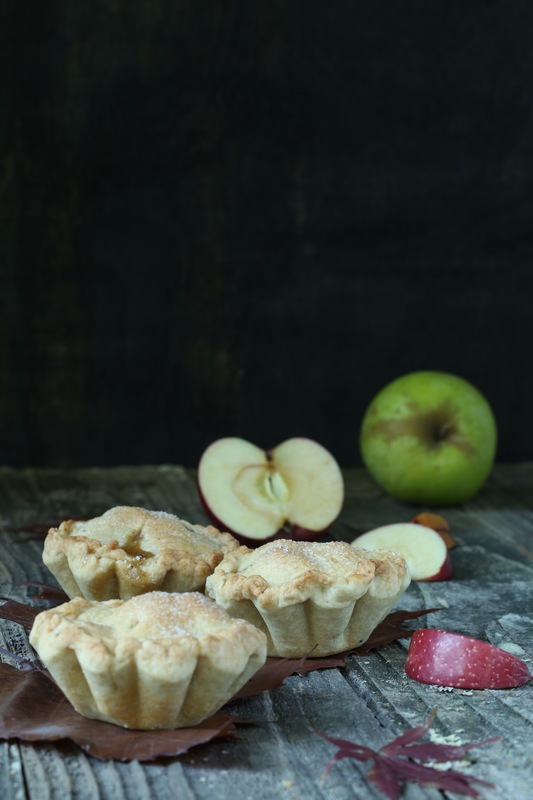 We alternate books each week and this week the group chose to make the Apple Pielets from Dorie Greenspan’s Baking Chez Moi which was also the perfect way to add more apples to my diet. To keep up with our baking adventure, visit the website and consider joining us each week. The recipe calls for using a muffin tin and lining the cups with a galette dough. If only I could find my muffin tin. Perhaps if I finished unpacking…Rather than searching for the pan or buying a new one, I chose to use my mini brioche tins. They were the perfect size and gave them a cute fluted shape. To make the filling, I chose Granny Smith and Sweet Tango apples, diced them, sweetened with dark brown sugar and spiced them with some garam masala. The directions called for rolling the dough between two sheets of parchment or plastic. Can I just say that is my least favorite method to roll out dough? If you ask me, I think that rolling slightly chilled dough out with large amounts of flour is always the way to go. Chilling reduces the stickiness and the flour makes it so much easier to roll out. If you truly go crazy with the flour, you can always brush it away with a soft brush. After heavily greasing the pans, I lined them with circles of dough and filled the pielets with the apples. A smaller round of dough was laid over the top of the filling and the two pieces of dough were sealed together. To allow the steam to vent, a few small slits were cut into the top crust and the pielets were baked to a lovely, golden brown. It was hard to wait but it was easier to remove them when they had mostly cooled. After pulling the pies out of the pans, I set them aside to finish cooling. Here’s to another apple season! Join us if you dare, we do this weekly. Visit the website, pick up a copy of the book and get to baking-you won’t regret it!